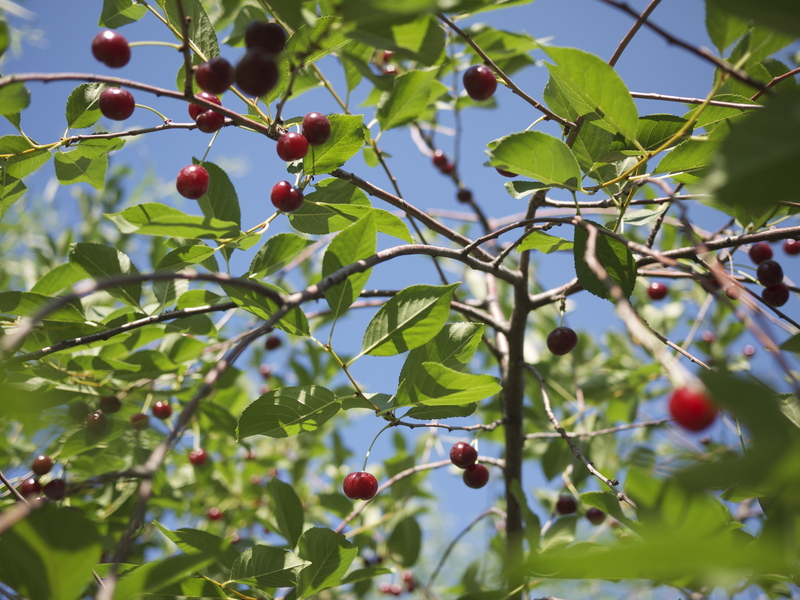 One afternoon in Tashkent, I was walking around the backyard with Scarlett when I realized one of the trees in our backyard was a sour cherry tree. Feeling like a modern-day pioneer woman, I decided to make a pie. I wouldn’t recommend pitting six plus cups of cherries without any help (a willing friend, spouse, or, ideally, a cherry pitter), but it can be done. So enlist some help and enjoy! In a food processor, pulse to combine flour, salt, and sugar. Add butter and pulse until mixture resembles coarse meal, with just a few pea-size pieces of butter remaining. Sprinkle with 1/4 cup ice water. Pulse until dough is crumbly but holds together when squeezed with fingers (if necessary, add up to 1/4 cup more water, 1 tablespoon at a time). Do not over-process. Blend oats, flour, sugar, cinnamon, and salt in a large bowl. 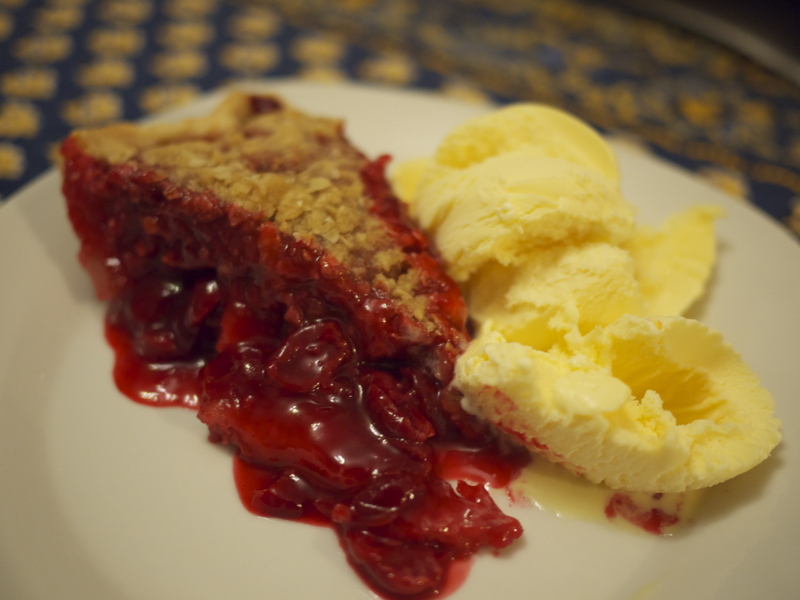 sour cherry crumble pie served with vanilla ice cream – yum! This sounds so good. i lkove cherrys, thanks for sharing this recipe.